When I was very small I was told by my grandmother that the things that fascinate us in this life are the clues to our past lives. An interest in England has afflicted everyone in my family because England is where our some of our ancestors came from, but when I first saw a portrait of Queen Anne Boleyn I felt different. I felt like I knew this woman, felt like I knew her whole life story before I even heard her name. A fascination in Anne has burned strongly in my life ever since I first caught glimpse of her olive toned skin and famous B necklace. I am not writing this article to win any prize, I am simply writing this article as my personal excuse to express that Anne Boleyn’s importance to History was so strong that it enthralled the life of a sixteen-year-old girl and has not stopped over the four years since. Anne Boleyn’s life was not only just an impact on English history but on world history itself. I will defend this statement until the day I die. Regardless of what you may or may not believe about Anne Boleyn she was a woman, who despite the harsh odds of her time rose above all beliefs of not only religion but of women and changed a nation forever. A woman who’s life said, “You will treat me as an equal.”. Anne’s impact is still greatly felt today and in many variations depending on what you believe of her life. Many Protestants believe she helped pave the way for their religious reform and by capturing the heart of Henry VIII she did, whether it was her own religion or not. Anne dared to tell of the Catholic Church’s faults and corruptions, gladly displaying to people that the Church was indeed not immune from fallacy or liability. She was intelligent and daring, having no problem with passing banned books to a King or sharing her honest opinion with him as well. A thing many feminists out there would admire. Facing her death Anne held herself with poise and perfect grace, the very definition of a Queen, a strength I personally try to incorportate into my own life when times seem their toughest. Anne teaches women everywhere that it doesn’t matter your station in life, it doesn’t matter if you’re not pretty. That you and you alone can change history and your life through determination and intelligence, that you can get what you want whether it be love or power. That any woman can become a Queen in her own right. In the end however, I believe Anne’s greatest impact of all was birthing Elizabeth, the Queen to end all other Queens. Elizabeth inhereted Anne’s strength, intelligence and wit, all of which she needed to be a successful Queen. To this day Elizabeth is known as England’s greatest Monarch and it’s all thanks to the life of her mother Queen Anne Boleyn. Without the struggles of Anne the great Elizabeth I would have never been born into existence, that is an undeniable fact, and England along with her beauty might have never become a World Leader. My sources are a mixture of books I have bought and read over the years, authors include Eric Ives, David Starkey, Alison Weir, and Elizabeth Norton. 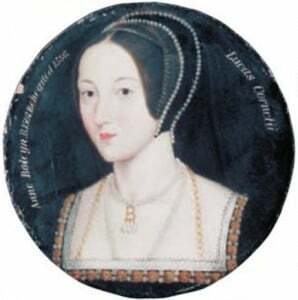 As well as The Anne Boleyn Files website itself, I did not take anything from any particular book or article but simply used the knowledge I learned from their writings to help express my own opinion about Anne Boleyn created from their teachings. I thank each and every one of you for helping me better understand the enigma that is Anne Boleyn. Chrystina, what an eloquent, heartfelt expression of your passion for Anne Boleyn. I believe you’ve touched on every opinion and adoration expressed by those of us who have become mesmerized and eternally attached to the life of this extraordinary woman of history. Thank you for sharing. Excellent article. You described Anne and the effects she had on so many things perfectly. You had a very wise grandmother. I grew up in the Midwest, USA and have been fascinated with Anne and England for more years that I care to tell. I have always felt I lived a previous life ( lives ) on the other side of the pond. Doing genealogy, I have found out, through my great grandfather, that I have a strong English background. Including sharing an ancestor with Anne herself! Beautifully written and I agree with every word. I am reading once again about the life of Anne Boleyn. Of course my first love was discovering QEI, or perhaps she discovered me. what did anne boleyn do that was of importance? ?